Exactly, yes. Some beers need higher carbonation than others, and that's one of the biggest reasons I stopped the carbonation drops as well. I just use dextrose (because it's only slightly more expensive than table sugar and it's always good to have dextrose available when you make beers), but yeah I don't even boil it. Just add some to a cup of boiling water, dissolve and pitch. At around 85°C, the mixture is hot enough to be considered "sanitary". Not "sterile", but you don't really case about a sterile environment because the one or two spores the survive aren't going to kill your beer. If the water isn't particularly hot I'll just place the cup for a few turns in the microwave, but yeah then it's fine to pitch, even at hot. 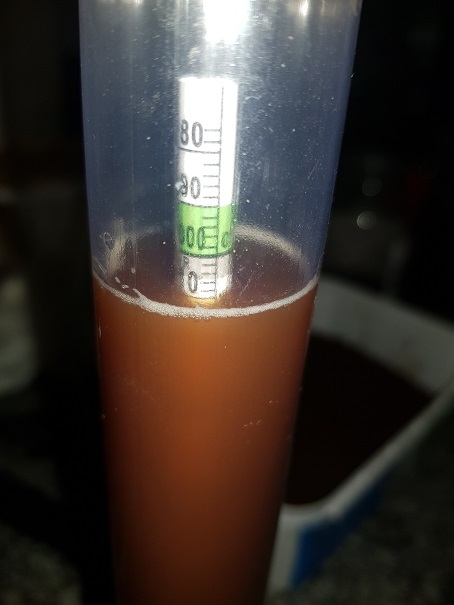 I just pitch into the beer direct, give it a swirl, let it stand for a few hours or so at cold-crashed temperatures and then bottle. Not sure what province you from, but THESE tin kits are the easiest to continue brewing as a start ... just add 1kg DME (dry malt extract) or a 50/50 mix af DME & Dextrose .... mix with hot water to dissolve and top up with cooler water .. pitch yeast and let it rip Search YT for videos on easy brewing or Coopers beer ... there are tons! That's exactly what comes in those brew boxes. One tin of a style-made beer, a bag of "brew enhancer" which is a mixture of DME, hops, brewing sugars and other additives that will make the style shine and sometimes even a specialized yeast so you don't have to use the generic crap that comes under the lid of the tin. Worth every cent for a starter, and I will even go as far as to say every brewer should have this as a backup for when a long brew day is not an option. Start to finish I can have my kit in the fermenter, lid on and ready to go in an hour, if I did a little bit of prep work the day before. Don't suppose anyone in CPT has any kegging equipment that's just taking up space? Or other equipment. I'm looking at expanding my setup a bit this year. +1 Richard is a great guy. Well kegging aside. This weekend marks an experiment with waste products for me. I'll be attempting to grow some oyster mushrooms using the spent grain. I drilled holes in a 25 liter bucket for the shrooms to grow out of. How are you going to get past the grains going sour in the bucket? You know what also works FANTASTICALLY? Spent coffee grinds. That stuff grows mushrooms like mad. PS: I should do that as well. Will give it a shot in winter! I left the planning for this too late so I'm going to propagate from the stems of oyster mushrooms and if that doesn't work I'll then look into getting some spawn to start. I just hate throwing away all the spent grains! Just a note - I took my last spent grains straight from the mash into a large pot so I could dry it (wanted to make dog biscuits). It was sour later that evening when I picked up the smell, literally like 4 hours later. I'm wondering if it wouldn't be better to dry it first and then adjust the moisture to where the mushrooms would need it? What I have gathered is that as much liquid as possible need to be removed before inoculation. So drying and then re-wetting might be the next step if that fails? I'm thankfully using a large brew-bag for the one mashtun (double brew day) so squeezing that will be easy. Should be enough for a good test run. About 5kg of grain. Well in a few weeks I'll try remember to follow up with what happened - good or bad. Seems to be okay, squeezed out as much as I could. layered mushrooms in. Now we wait and see... Checking periodcally though, no off smell yet. I was also wondering how many people on mybb are in the Northern Side of CPT and find that the South Yeasters meetings and the Helderberg club meetings are just too far for them to make mid week? Edit: Or if you or someone you know are interested in home brewing. Well it's been about a week and the grains only starting to smell a bit sour now if I open the container lid. But nothing else seems to be happening. Eskom though has been interfeering with my fermention process. Lagers should have been at about 10 but they've averaged around 14-15 due to loadshedding. I'm busy building a 70L electric brew system.. basically a clone of theelectricbrewery. The design asks for two magnetic drive pumps but those carry quite a hefty price tag (~R2k each). Instead I got two cheap 24v brushless pumps off ebay but now I'm having second thoughts and I'm not sure they're going to be powerful enough and will be susceptible to clogging. Was wondering if I can use the Jojo Booster Pump instead, seeing as I already have one spare. Anyone here know anything about wort pumps? Let us know what you do end up with - and post some pics of your work in progress!